After two years of steady decline in the number of development applications, Ottawa’s planning committee heard on Feb. 28 that, in 2016, Ottawa experienced an 18-per-cent increase in applications over the previous year – an indication of positive economic growth. The figure was part of the Ottawa Planning Services’ 2016 Year-End report and 2017/2018 Work Program. City staff presented highlights of 2016 achievements, emphasizing the progress that Planning Services has continued to make on achieving the 2015-2018 work program developed for this term of council. 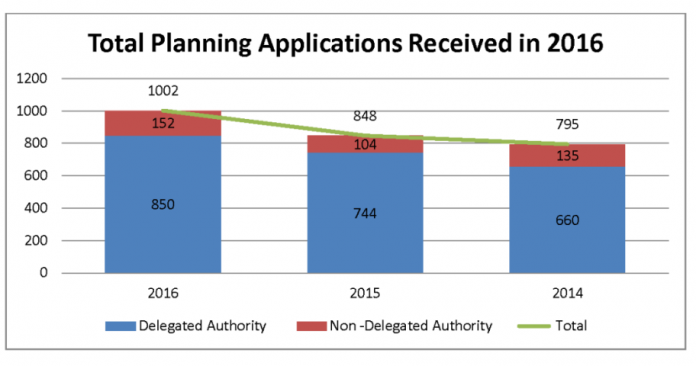 Planning Services received 1,002 applications last year – a 26-per-cent increase over 2014 (795 applications) and an 18-per-cent increase over 2015 (848 applications). That figure includes double the amount of Plans of Subdivision and a record number of Front-Ending Agreements, but, despite the increase, Planning Services was still able to meet vouncil-approved timelines at a comparable rate to previous years. For instance, for the most complex applications – site plan control applications requiring public consultation – 38 per cent were processed on time in 2016, a five-per-cent increase over the previous year. A total of 56 per cent were handled within 30 days of the targeted time. 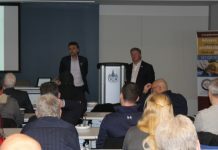 The report also identifies major projects to be undertaken in 2017/2018, including reports on Barrhaven South Community Design Plan, Phase 2 of Building Better Revitalized Neighbourhoods, Light Rail Transit Phase 2 Station Area Community Design Plans, Official Plan Amendment 150 Appeals and a study of Small Scale Industrial and Commercial Zones. The planning committee approved recommendations to establish an interim process, delegating authority to city staff for draft approval or registration of a plan of subdivision containing an intersection on a major collector or arterial road. This need stems from a recent Ontario Municipal Board ruling requiring the city to pay for installation of these intersections with development charge funds. Budget authority is required to approve the funds needed to reimburse the developer. 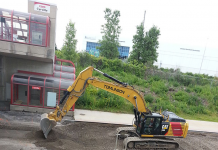 If approved by council, this delegated authority will be in place until the Development Charges By-law can be updated this spring to permanently resolve this situation. A proposal to add one storey on top of an existing eight-storey residence at 17 Aberdeen St. was also approved. 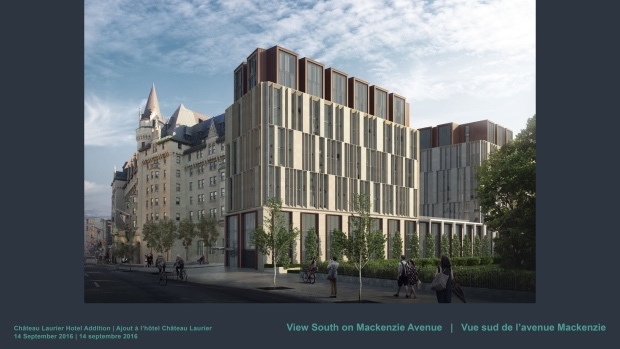 As part of that proposal, a new 25-storey, 175-unit residential tower was also approved, to be built immediately north of 17 Aberdeen St., between existing office buildings at 333 and 343 Preston St. Previous articleOttawa city council approves zoning to stimulate Hintonburg businesses, new Kanata Centrum Shopping Centre building.